Now we’ve seen some pretty ballsy interactions with top predators, but this one has got to take the cake. 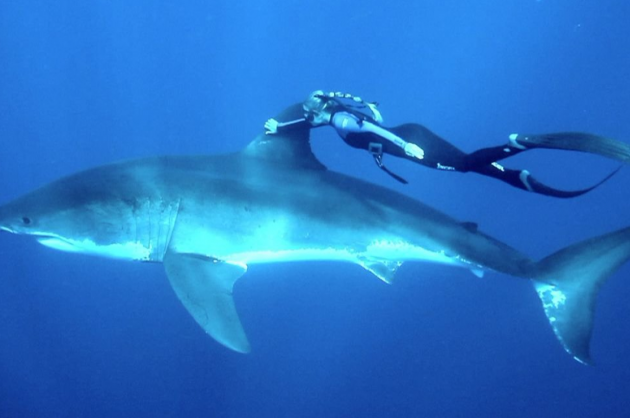 Ocean Ramsey is an avid ocean conservationist who’s swimming with sharks to raise awareness and change attitudes about these vilified sea-faring creatures. She’s also smokin’ hot, which obviously isn’t the most important thing here, but still, damn.